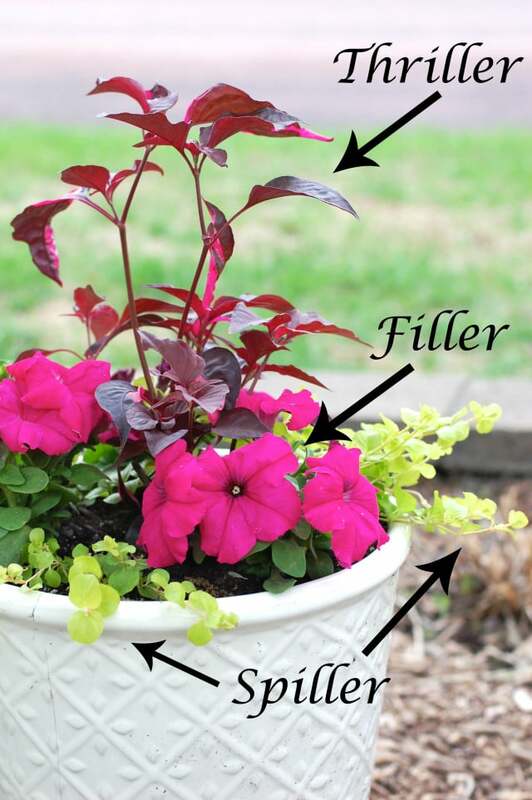 To provide visual interest to a container garden, follow the concept of planting flower pots “Thriller Spiller Filler”. 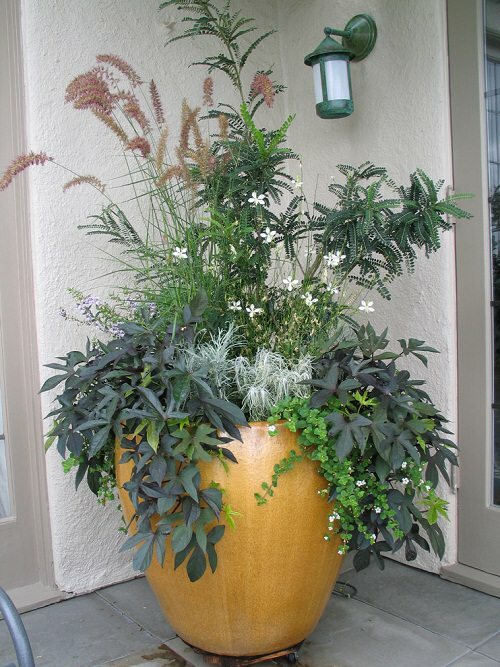 In that, you have to combine plants of different heights and sprawling habit in each pot. Fillers are covering plants that spread to fill the gaps between the Thrillers and spillers. In order to organize the arrangements of plants in a container consummately, start with the thriller-type plants. 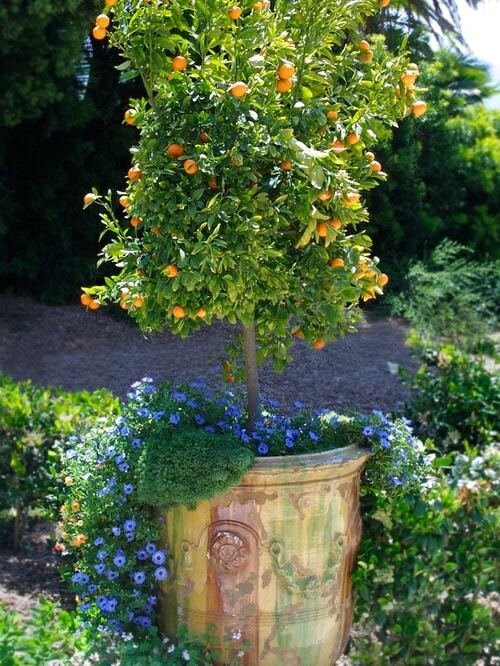 Plant them in the center of the pot, so that they will not cover other plants and can be viewed from all sides. 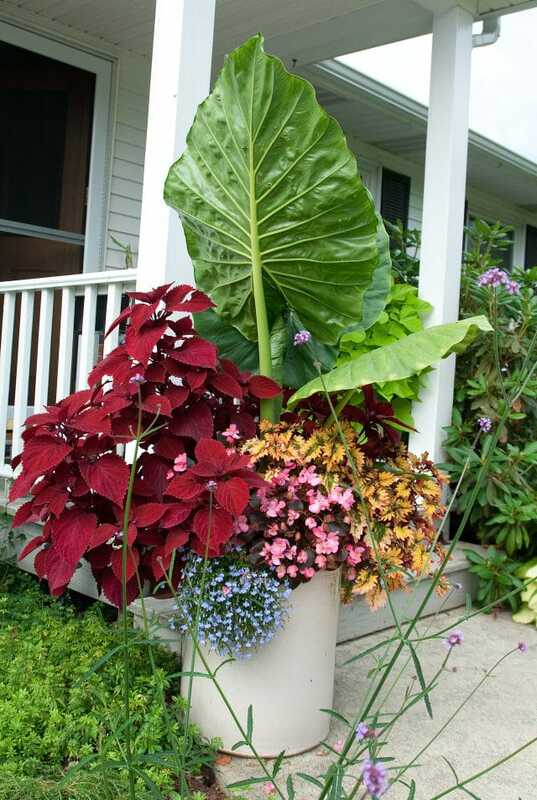 Thriller plants must be the twice of the height of the container. 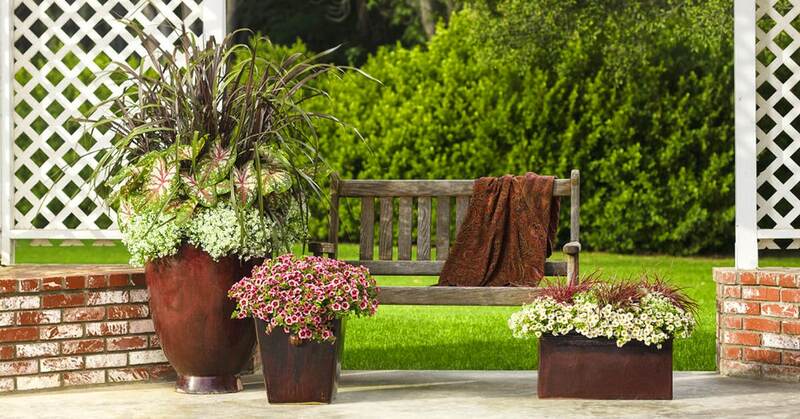 Surround thrillers with filler plants. 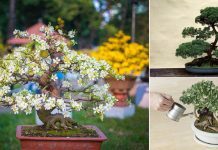 You can flower fillers or foliage fillers or both if your container is big. Choose great fillers, they will connect both the thrillers and spillers and add interest to the arrangement. 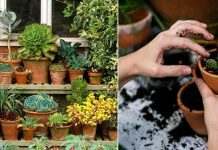 At last, plant the spillers (trailing plants) near the edges of the container so that they’ll grow naturally across the sides of the container. When planting pots in thriller spiller filler style, care to grow plants with similar growing requirements. 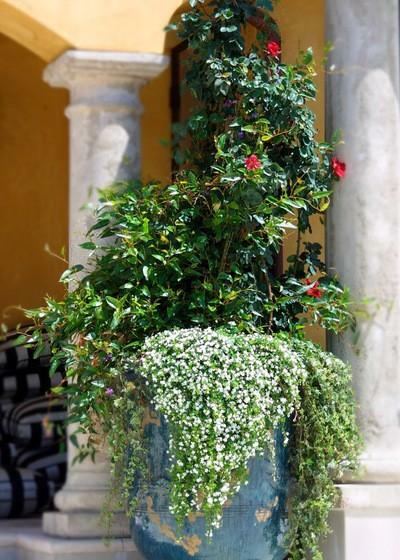 Choose plants that need a similar amount of growing conditions, location, sun, water, shade and climate to thrive. 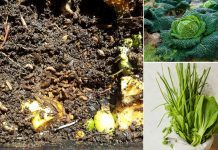 For example, you can’t grow a moisture loving plant with the plant that needs dry soil in order to grow. There is no reason you can not include edibles in your arrangements.